Get your very own unique caricature or portrait painted by Marcus! It's very easy to attain your very own digital caricature painted by Marcus. They are wonderful gifts as well. Marcus also paints pets. Step 3: Email MarcusSakoda@gmail.com with your photos and style preference and he will respond with a quote. 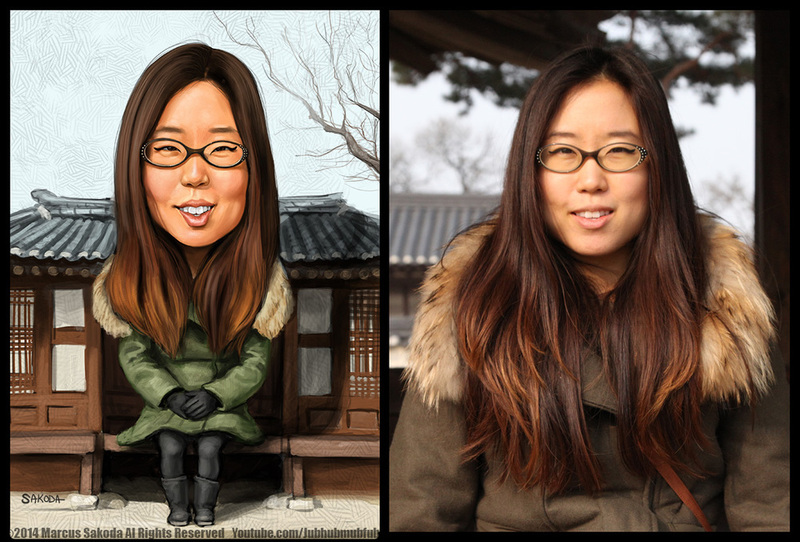 Step 4: Wait about 2 weeks and receive your very own special digital caricature**! * photo reference quality directly translates to the quality of the finished caricature. The better the photo, the better the painting can be. ** Digital caricatures are just that, digital. Printing must be done on the receiver's side.